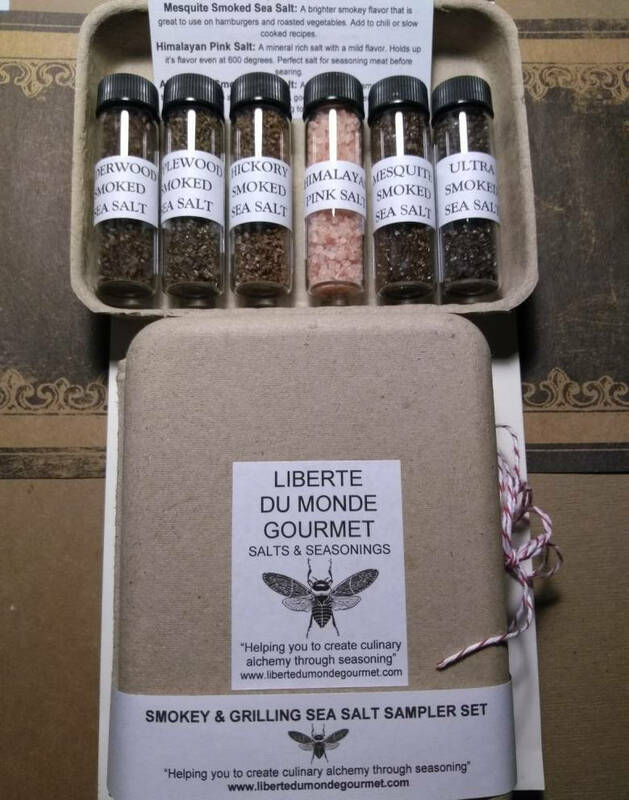 .25 oz or 1.5 teaspoon glass vials of gourmet salts which are ideal for bringing a grilled flavor to your favorite recipes or actually using on the grill.. Included is an information card for ideal uses for each vial. 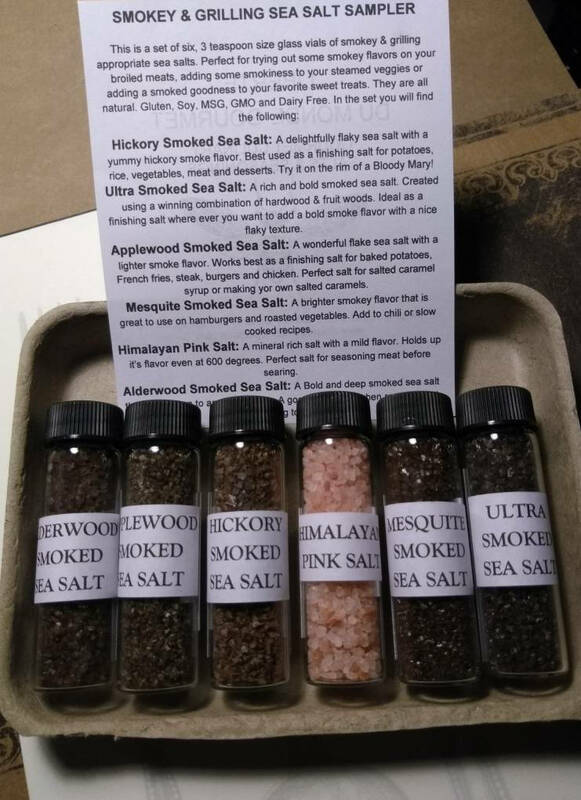 Naturally smoked sea salts and Himalayan Pink Salt which holds its molecular structure up to 600 degrees, which makes it ideal for searing and broiling. 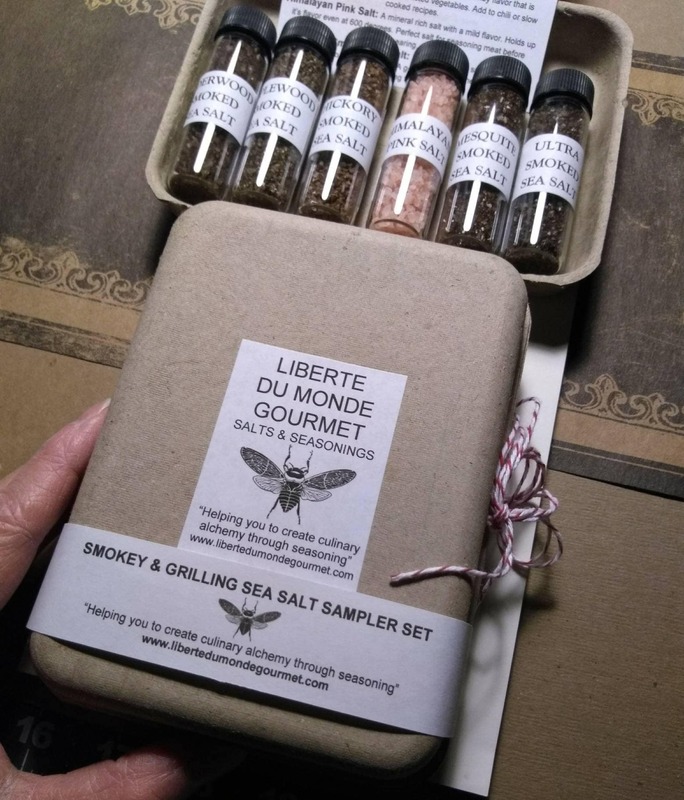 There is also an "ideas card" which gives some ideas on how to use each individual ingredient. 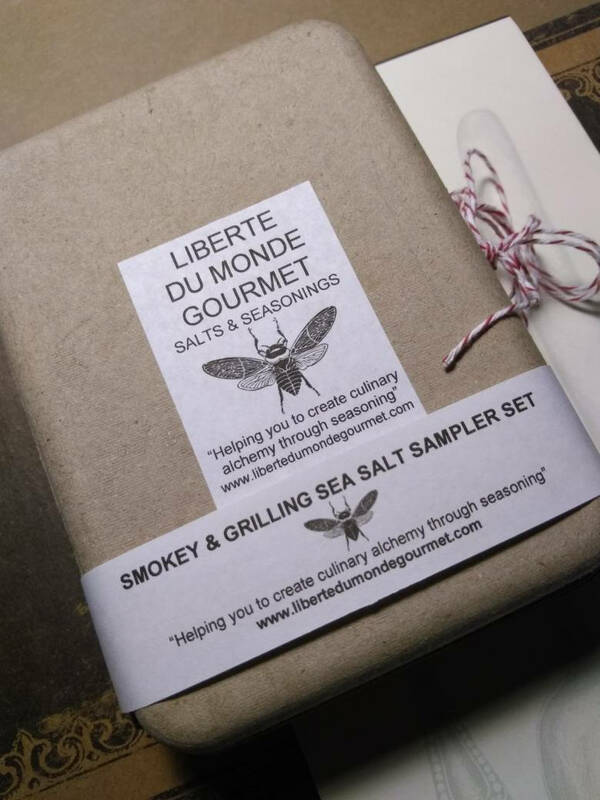 Packaged in a 100% recycled paper pulp box with cotton bakers twine. 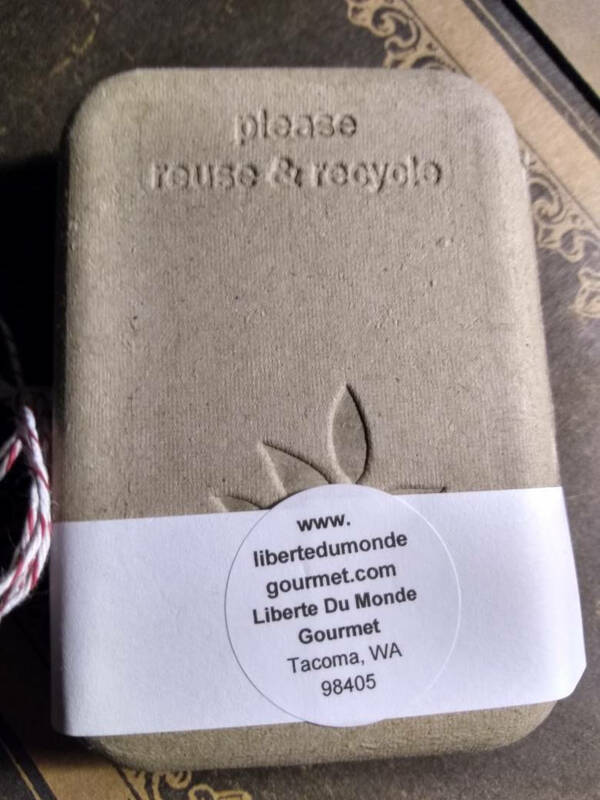 100% of the packaging is recyclable and or reusable. An idea for reusing the paper pulp box : You can cut the box in two halves at the seam. Plant seeds for garden or container starts in a small amount of soil. When the starts are ready to plant, simply plant the box half directly. It will breakdown as the plant grows.